Dodge is set to unveil a new Challenger variant even more potent than the 707-horsepower Hellcat. It’s called the Demon, and this week we learned one of the methods the engineers have employed to boost power. If you prefer having more than two doors on your performance machine, Dodge has also added a Durango SRT to its lineup. It sports the 475-hp 6.4-liter Hemi V-8 shared with the Grand Cherokee SRT, though oddly the official numbers rate the smaller Jeep as being the slower of the two. It’s the 2017 Chicago auto show this week and that means plenty of new SUVs, trucks and special editions. One of the highlights was Ford’s redesigned Expedition. The big news is the aluminum body that helps shed a massive 300 pounds. 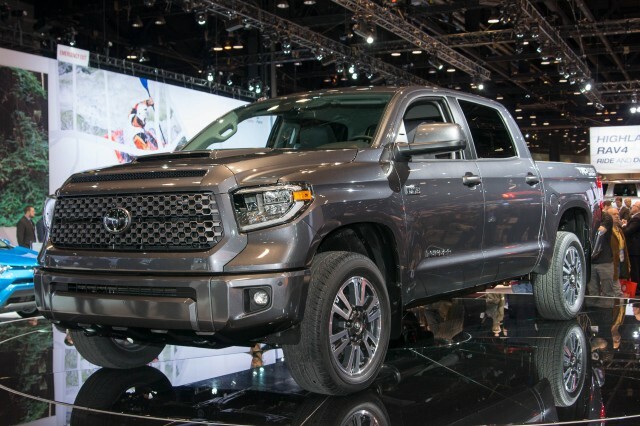 Toyota used the show to unveil updated versions of its Tundra and Sequoia. Among the updates is the addition of new TRD Sport trim. For the Tundra, this means uprated suspension, 20-inch alloys and unique exterior treatments. A major surprise this week was the spotting of a prototype for Lamborghini’s upcoming SUV. We also learned this week that the vehicle will keep the Urus name used on a concept from 2012 previewing it. Finally, we also learned of a new stunner deal from the folks at Lebanon Ford of Ohio. For a grand total of $45,499, the dealer will sell you a brand new Ford Mustang GT equipped with a Hellion twin-turbocharging system. With a few supporting mods, this particular setup is capable of 1,200 hp. Google Home vs Amazon Echo: Which Smart Speaker Is Smarter And Which Should You Buy?